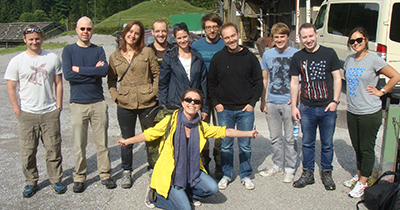 In late July, the ISTO and our friends from the Ifo Institute and the University of St. Gallen went on a trip to Spitzingsee to share and discuss research projects, to socialize and to have some outdoor fun. The two-day seminar was a great opportunity for all participants to present their current research topic and to lead a discussion about it afterwards. The serious part of the seminar was loosened up with a creative teambuilding event that required fire making practice, dexterity with bow and arrow as well as tower building and slacklining skills. A giant BBQ completed the felicitous rally. Check out the photo album on our Facebook Page! We would like to thank everyone for their enthusiastic participation and are looking forward to the next joint seminar!